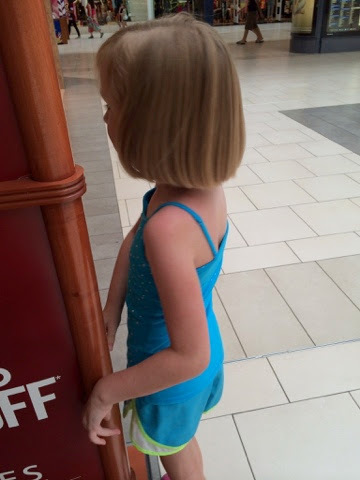 Alice has been asking for a few months to get her haircut short. I took her a few months ago and had them cut off about 2 inches, but as we walked out of the salon, Alice told me she had wanted it shorter. I have been fighting with this in my head for a while now. As a kid, my mother kept my hair cut short while my sister had long luxurious locks ( at least that is how I remember it ). I'm not sure why his was the case. Perhaps it was because I hated to brush my hair, but as a child I never had hair longer than my shoulder. On one trip a mother pointed out me and my sister to her baby and said "look at the cute little girl and boy!" This was after my mother had cut my hair very short and had given me a perm, so I had short curly hair. She insists it was SO ADORABLE, but I thought I looked like a boy dressed in Granimals ( if you can remember those). 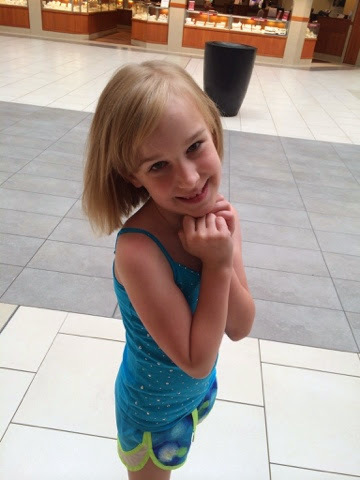 So as my 6 year old daughter requested I cut her long sweet hair, I had to remember that this was her choice. As a kid I don't think I had a choice, so maybe that was my prejudice against short hair on a little girl. 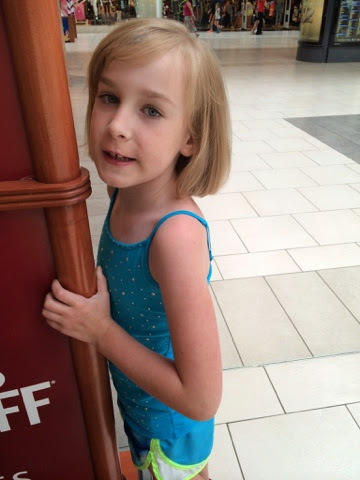 So last weekend, as we went shopping for size 1 shoes at the mall we also stopped in at a salon so Alice could get the hair cut she had been wanting. 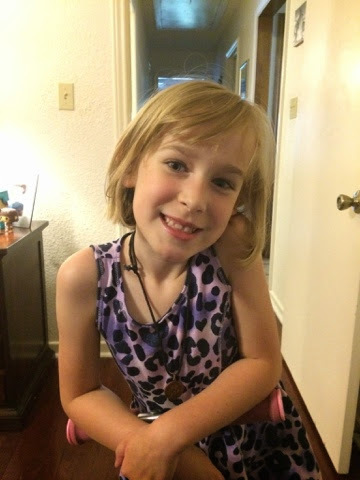 I almost cried as they cut 5-6 inches off her hair. I will admit to stealing a long lock off the floor to put in my purse. When the cut was done, the lady asked Alice if she liked it, and she beamed YES. It's beautiful :). Mom kept you hair short because you would never let her brush it. Me, on the other hand, had long hair because I wanted to be a pretty princess. You were more the... comic relief in the family ;).